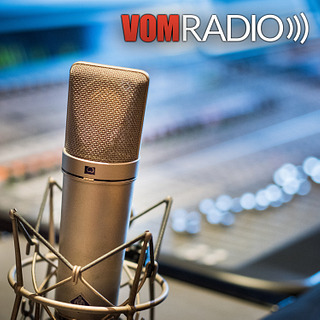 Join us as we look back on some of the amazing testimonies God has allowed VOM Radio to share this year. Helen Berhane explained the power of worshipping the Lord while locked in a shipping container in Eritrea. Gary Witherall talked about God’s help to choose forgiveness, and even love, just minutes after Gary’s wife, Bonnie, was martyred in Lebanon. 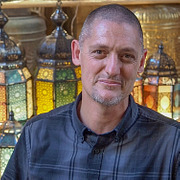 Brad Phillips shared the story of Morris, a church leader in the Nuba Mountains of Sudan, who forgave the man who attacked his daughter—and even paid the fine to get the young man out of prison. Dan Baumann told what happened when God challenged him to love the man beating him inside a prison in Iran—and the breakthrough that happened when Dan did indeed show love. Finally we’ll hear some of the ways these guests have encouraged us to pray for persecuted Christians this year. Gary Witherall: Part 1 and Part 2. You can also order a copy of Gary’s book, Total Abandon (affiliate link). Dan Baumann: Part 1 and Part 2. You can also order a copy of Dan’s book, Cell 58 (affiliate link). Read the true story of Helen Berhane, who was imprisoned for more than two years in Eritrea. Use this affiliate link to order a copy of Gary's book, Total Abandon. Use this affiliate link to order a copy of Dan's book, Cell 58.